Panasonic will enter the mirrorless full-frame market with the Lumix S1R and S1, the first two models in the new Lumix S series. While S model prototypes are on show at Photokina in Cologne, the cameras won’t be available until sometime in 2019. 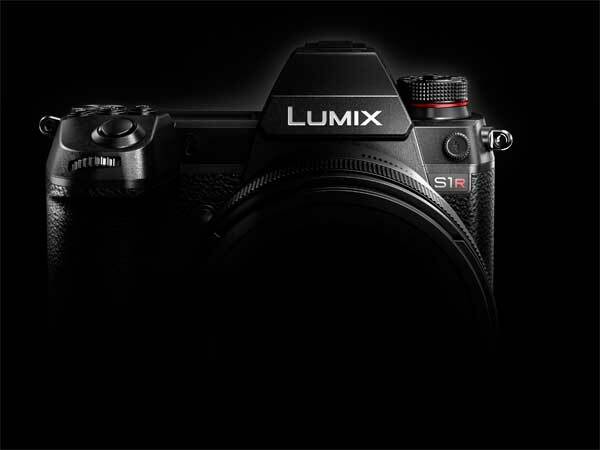 Panasonic hasn’t revealed too much – even the product pics are a bit of a tease – but the S1R has 47 megapixels and the S1 around 24 megapixels. The cameras will both support 4K 60p/50p video recording – the world’s first full-frame mirrorless cameras with this feature. They also feature Dual Image Stablisation, another world’s first, apparently. The cameras have a double XQD card slot; and a tri-axial tilt LCD. Panasonic plans to develop ten S series lenses by 2020, including a 50 mm/f1.4 fixed focus, 24-105 mm standard zoom lens, and 70-200 mm telephoto zoom lens. The S series cameras interestingly feature the Leica L mount. Panasonic adopting the L mount is part of a greater ‘strategic partnership’ between Panasonic, Sigma and Leica. The three companies have teamed up to create an ‘unparalleled form of collaboration’, with the aim of increasing the importance of L-Mount technology. ‘Lumix continues to forge the way and set new directions in imaging with the announcement of the S Series. This marks a new era of growth and opportunity for Lumix – with the S Series providing Panasonic with even greater reach into the world of the professional, while we continue to grow the highly-regarded G Series,’ said Scott Mellish, Panasonic Australia’s imaging product marketing manager. With Sigma and Leica sure to further flesh out the lens range, it seems the three companies have much to gain business-wise from the union. This entry was posted in PHOTOKINA 2018, Top story by Keith Shipton. Bookmark the permalink.